2010 January — Dayna Macy, author of "Ravenous"
KQED Forum will be doing a full hour on the Yoga Journal SF Conference Friday, 1/29, 10 AM. Interviewed for a piece in today’s New York Times. Not the planet, the music website. I’m always ridiculously late to learn about current technology, though I’m married to technology man (TM). TM introduced me to Pandora Internet Radio and I am in love! Just put in the artists you like and it plays back those artists and those they think you will like. So far, batting close to 100. Such a great site. I am not a fickle woman. I have very, VERY few crushes and when I do, they last for a long time. Like Viggo Mortensen. As Aragon in Lord of the Rings, he was a beautiful and soulful warrior, and a terrific actor. My crush lasted for years. Donate what you can. I donated to Doctors without Borders. I read today that Stanford Professional Publishing Course is closing. I was on the faculty of the course from 1988 to 2000. I have many fine memories teaching there, sharing my subversive pr campaigns on books ranging from the brilliant White Trash Cooking to Flattened Fauna. I also sat in on some classes including one taught by John Kennedy, Jr. on the planning and launch of George Magazine. One earnest student asked him what the mission statement of magazine was. He turned beet red and said, “Next question?” prompting the class to crack up. I’m sorry to see the course close down. But I guess it’s getting harder and harder for companies to justify the thousands of dollars it takes to send a person. Ciao SPPC. I salute you! A beautiful piece by Roger Ebert on no longer being able to eat food. 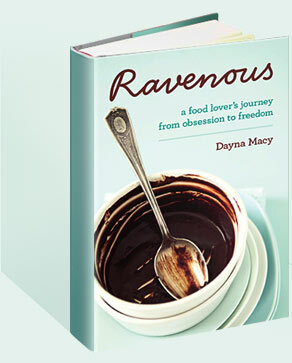 On the last day of 2009, I finished my first draft of “Ravenous”. I am happy, but I know there’s miles to go. It will need editing, of course, and I started doing just that on the first day of 2010. I feel like I’m on mile 18 of a marathon, but my husband, Scott, who has written two books, tells me it’s more like being on mile 22, which cheered me up.